The global immunohistochemistry market is projected to expand at a healthy pace. Factors responsible for the growth of this market include growing geriatric population, high prevalence of chronic diseases, and rise in the number of diagnostic centers. The growing awareness among physicians and an escalated demand for histopathology are some of the other growth drivers for the global immunohistochemistry market. In addition to this, a rise in the healthcare spending and improvements in the healthcare, diagnostic centers, and hospital infrastructure across many nations are boosting the growth of the immunohistochemistry market. Some of the trends observed in the market include, implementation of nanotechnology in immunohistochemistry, high use of automation, and the use of multiplex arrays. As per expert analysts, developing nations in Asia Pacific and Latin America are slated to witness high growth. A rise in the demand for personalized medicines is anticipated to create potential of growth for the global immunohistochemistry market in the years to come. Consolidation is another emerging trait of this market. Small vendors in the market are operating at local and regional levels and are challenging the shares of top players in the immunohistochemistry industry. Thus, top players are continuously re-inventing and upgrading themselves to up their markets and expand their product portfolios. This increasing competition is driving innovation, which in turn is boosting the growth of the immunohistochemistry market. Also, innovation is helping players to overcome the existing challenges and address compliance issues. The global immunohistochemistry market is poised to make a bold statement with an impressive growth rate on the back of its irreplaceable application in the detection of the expression of different cancer biomarkers, such as PD-L1, NGS, RBM4, and SASH1. Immunohistochemistry also finds a vital position in Philips and Illumina’s collaborated pipeline solutions based on integrated genomics for oncology cases. It is also used to validate the proteins that hold a profound association with prostate cancer, in order to develop biomarker protein panels with a substantial prognostic and diagnostic potential. Besides this, it is essentially employed in the recently discovered experimental treatment for Parkinson’s disease which gives an early promise. With such handsome demand in the biotechnology sector, the global market for immunohistochemistry is foretold to showcase a stallion growth. Considering the segmentation portion of the report, the international immunohistochemistry market can be categorized by product type, application, and end user. The geographical segmentation presented in the report will help the global players in the market to gauge their growth potential internationally and make the necessary amendments in their business strategies. 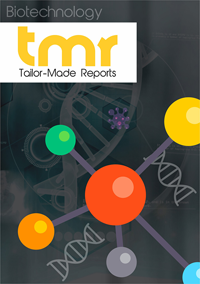 The customized report on the global immunohistochemistry market explores the breakthrough strategies and growth factors of the top industry players. The overall scenario of the existing and latent competitive landscape of the international market is extensively elucidated by the analysts. The market intelligence solution offered here presents a valuable blend of trends analysis and quantitative forecasting. With a close to healthy CAGR, the global immunohistochemistry market is envisioned to project a tall rise while riding on the fattening rifeness of chronic diseases and forging advancement of geriatric population. The international market is also anticipated to take advantage of the rising physical awareness, aggressive building of diagnostic facilities, and demand for histopathology. Glaring opportunities for growth in the market are expected to be built upon the inflating want for personalized medicine and whistle-stop development in the emerging economies of Latin America and Asia Pacific. It is significant to study the important regions such as North America, Europe, and Asia Pacific alongside Latin America and the Middle East and Africa in the Rest of the World classification. The further classification of these regions at a country level will also help to gain a keen insight into the competitive landscape of the global immunohistochemistry market. India, China, and Brazil are predicted to be under high focus in terms of growth for their regional markets. The rising per capita income, elevating number of cancer patients, and swiftly developing healthcare infrastructure are reckoned to boost the growth in the Asia-Pacific, Latin America, and the Middle East and Africa regions. Merck Millipore (U.S.), Bio SB Inc. (U.S.), PerkinElmer, Inc. (U.S.), Agilent Technologies, Inc. (U.S.), Abcam plc (U.K.), Thermo Fisher Scientific Inc. (U.S.), Cell Signaling Technology, Inc. (U.S.), Danaher Corporation (U.S.), F. Hoffman-La Roche AG (Switzerland), and Bio-Rad Laboratories, Inc. (U.S.) are some of the dominant players in the global immunohistochemistry market. The report customizes the company profiling section as per the business wants of the buyers.